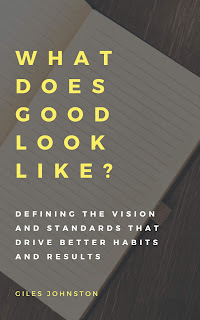 My new book What Does Good Look Like? has just been released and is available for free this weekend on the Amazon Kindle platform (note - you don't need a Kindle device to read the book). The promotion runs from 12:00AM PDT on the 12th October, for three days. This book is a must for any organisation that has defined a big picture vision for their business but fails to see that vision translate into practical, meaningful, day-to-day activities. 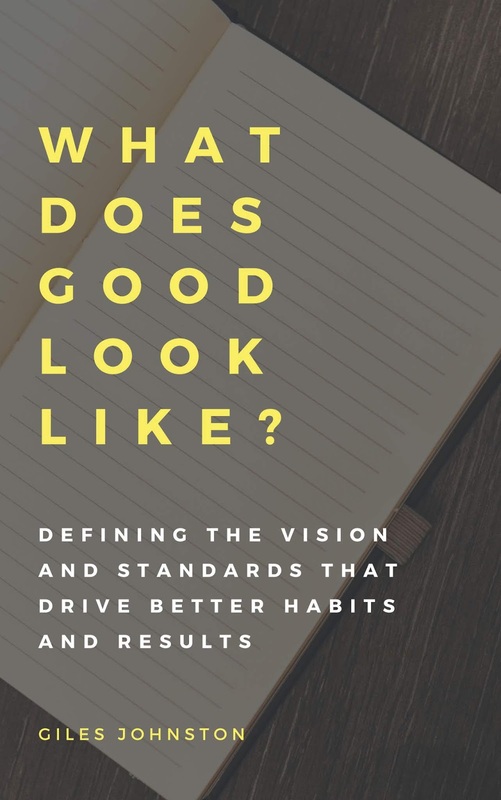 Many businesses fail to ask the question 'what does good look like?' for a wide range of processes, standards and behaviours and get frustrated that the follow up actions don't get the results that they wanted. Part One - provides four methods to help define what good looks like for your business, even if you are not entirely sure yourself. Part Two - offers methods and ideas to help you deliver a practical improvement plan that develop the right kind of habits to allow your business to reach its vision. I have written the book so that it is highly practical and at 164 pages it won't take you forever to read. To get your free copy - click here.